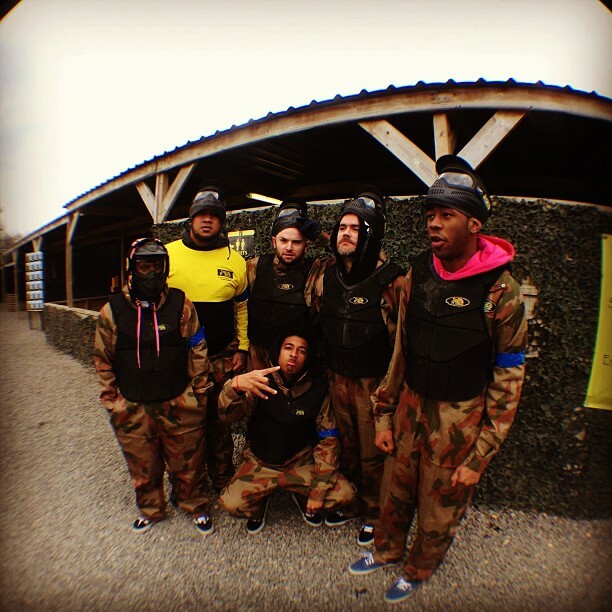 Tyler, the Creator plays paintball in East London! 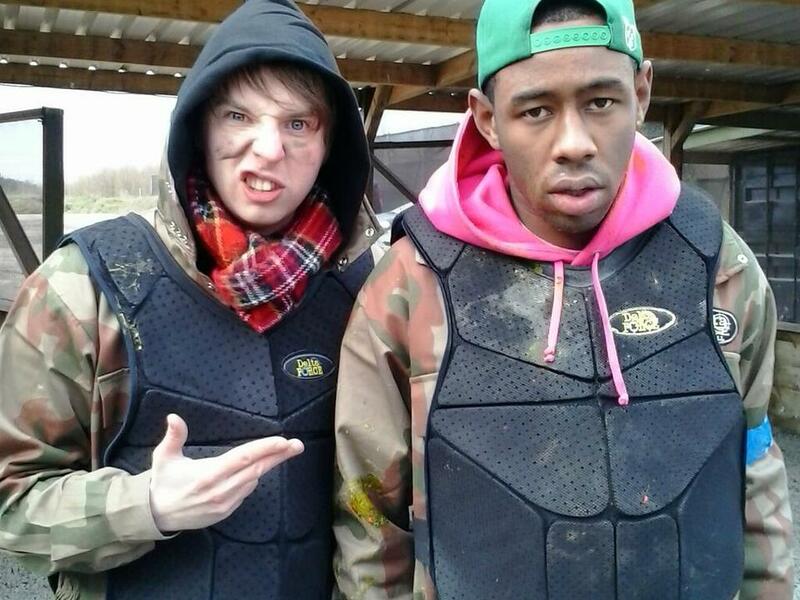 Tyler, the Creator, a well known American rapper and record producer, played paintball at the Delta Force East London paintball centre on 27th March. Tyler is an avid paintball fan and chose the Delta Force paintball centre to promote his new album titled Wolf. Tyler attended the centre with a selection of journalists (including Radio 1 DJ Phil Taggart) and competition winners who also formed the opposing team as they tried to outwit and outplay Tyler and his carefully selected comrades. Tyler had an awesome day exploring our movie set quality paintball game zones such as London Bus – complete with double-decker buses and barricades. Another game at the East London centre that was well received was the Flight DF777 – Jet Hijack game zone. This field features a downed aircraft and Tyler and his team were victorious in eliminating the opposition using a mini arsenal including M16 upgrade guns, paint and smoke grenades and a wall of non-stop paintballs! Tyler described his day paintballing at Delta Force as the most exciting album launch ever. Our staff were very happy to host Tyler’s paintball event and look forward to hosting another paintball day for him and his crew soon!